The Turbosteam Pro, turbo boosted features for a great finish, fast. 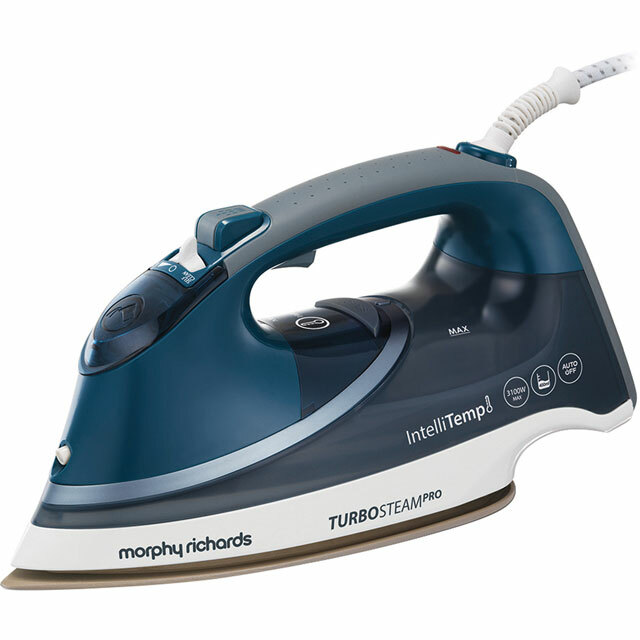 Our most powerful iron, but also easiest to use, thanks to simplified temperature controls. Choose either IntelliTemp and iron any ironable fabric with no burns guaranteed* or the Max setting for thicker fabrics or stubborn creases. Save time using Intellitemp for all your ironing needs with peace of mind that your delicate items are safe thanks to accurate temperature control. *No burns guaranteed when intelliTemp setting is used according to manufacturer's instructions.